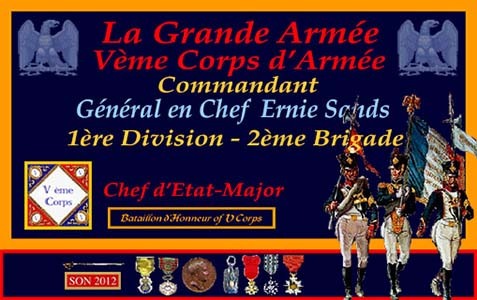 First post on this forum as a new recruit of La Grande Armee ! I have been playing Histwar and the "Wagram" series from HPS for quite a while now, and I was thinking about expanding into more HPS or JTS titles but the question is....which one ? The logic would be to get the "Eckhmul" series and be able to play the whole 1809 campaign, but I wanted something different than the Kaiserlicks as opponents. I was thinking Peninsula (for the length and variety of this campaign) or 1814, but I'm afraid the latter would be hard for French players. I am of the opinion (that many share) that following your historical interests is the way to go. the 1805 (Austerlitz), 1806 (Jena), 1809 (Eckmuhl and Wagram), 1813 (Bautzen and Leipzig) and 1814 games were designed by Bill Peters and have similar movement and fire rates. This is my personal favorite style of the 3. Waterloo and 1812 use similar movement and fire rates. Peninsula uses a movement and fire rate that is somewhat in between what the other two have done. It seems that Leipzig and Waterloo are the most played, and Leipzig has most historical, well balanced battles than any other title. I have been playing it constantly since it came out and have still not played all the historical stand alone battles. 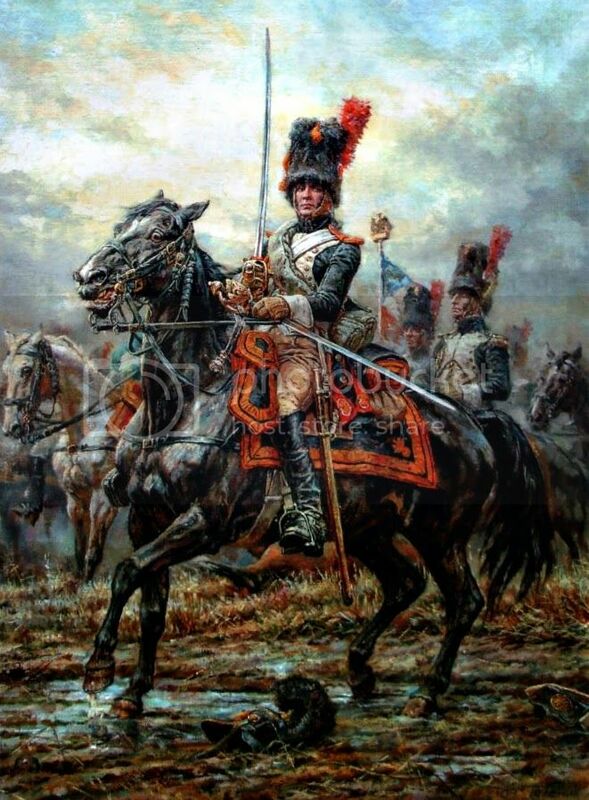 My favorites are probably Leipzig and Eckmuhl, but the historical periods that intrigue me the most are Bautzen (the French have very little cavalry and are often massively outgunned, but at times have 50,000 more infantry) and 1814. I playtested 1814 and have played 5 or 6 scenarios in the club and it has a lot of well balanced, medium sized scenarios. I am sure others will chime in with their favorites. As you will see, many people have their own favorites (for example, there are a few guys, including me, that play the Battle of Austerlitz a lot because each time it is so different and the armies are well balanced).. I think that question is like "Which child is your favorite child?" The answer is all of them! So, your best bet is what Jim said and go with the game you most like HISTORICALLY. If I had to give one personal recommendation I'd say Leipzig. Don't forget, with Waterloo you also get the company-level scenarios included! My personal favorite remains the Campaign Eckmuhl which combines a large map with a lower density than, say Leipzig, which leads to greater strategic options. Campaign Leipzig is my next favorite simply because it has so many scenarios. There are 8 Company Level scenarios in Leipzig. Campaign Bautzen has a lot of Company Level scenarios in it. As a matter of fact the entire set of Russo-Swedish War scenarios is on the company level. I put the entire Russo-Swedish War set of scenarios together in something like 2 mos. All of the maps were done in one month. There are also company level scenarios for the Lutzen battle situations. Again, Rich White worked on that set. Folks will always want to buy Waterloo simply because they want to see if they can defeat the Allies as Ney/Napoleon. Its one of the best situations for "deal the enemy the knockout blow before he is reinforced." Thank you everybody for all your suggestions. If I follow my historical preference, then I'll go for France 1814 which is to me, the most brilliant campaign along with Italy 1796-97 (any game released on that period soon ?). I never played company-level games yet but I already find it quite challenging to deal with battalions when you have 6 or 7 Corps on the battlefield ! As for Waterloo, I've played it all over again on Waterloo: Napoleon's last battle (from Breakaway Games)...with pretty much the same result in the end ! 1814 has a ton of battles, some of them are unbalanced do to history but it has a lot of competitive ones. And the campaigns feature more balanced situations that are historical or semi-historical and add a lot of value to the game. Have fun! I meant to say .. welcome, Adrien, to the NWC! Hope you enjoy your gaming experience here. Hope you get into a game soon with an Allied club member.